The human body is mostly made up of water – 70% to be exact (your brain is made of 90% water! ), so it makes a lot of sense that we need lots of it to keep our bodies functioning at it’s best. However it’s the one thing most people fail to get enough of. 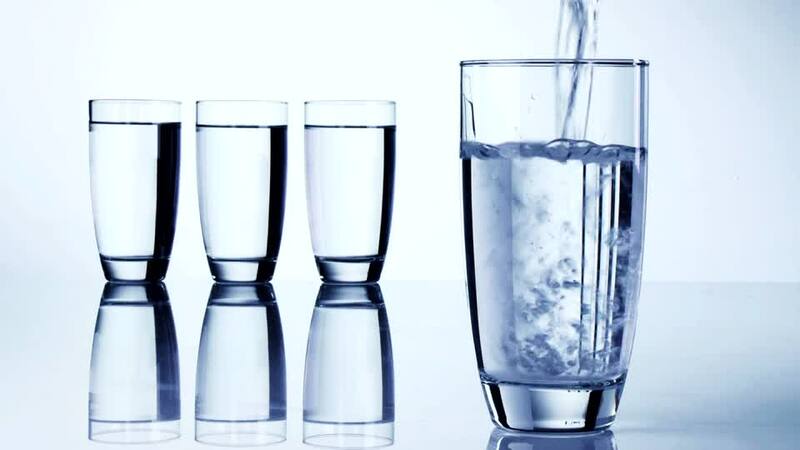 The rule of thumb is 8 glasses of water a day, which is roughly about 2 litres of water. Have two glasses of water first thing in the morning. Not only does this replenish the fluids you lost while you slept but also fires up your metabolism for the day. An easy way to monitor whether you are drinking enough water is the colour of your urine. If it’s clear or light yellow, you’re getting enough water, if your pee is bright yellow, this is bad, and it means you do not have enough water in your system. 1. Flushes Out Toxins – Water gets rid of waste through sweat and urination which reduces the risk of kidney stones and UTI’s (urinary tract infections). 2. Promotes Weight Loss – Removes by-products of fat, reduces eating intake (by filling up your tummy if consumed prior to meals), reduces hunger, raises your metabolism and best of all – has zero calories! 3. Increases Energy & Relieves Fatigue – Since your brain is mostly water, drinking it helps you think, focus and concentrate better and be more alert. As an added bonus, your energy levels are also boosted! 4. Improves Skin Complexion – Moisturizes your skin, keeps it fresh, soft, glowing and smooth. 5. Keeps you regular – Aids in digestion as water is essential to digest your food and prevents constipation. 6. Natural Headache Remedy – Helps relieve and prevent headaches (migraines & back pains too!) which are commonly caused by dehydration. 7. Boosts Immune System –Drinking plenty of water helps fight against flu, cancer and other ailments like heart attacks. e.g It is recommended to have a glass before a shower, to regulate your blood pressure. 9. Good Mood Drink – When the body is functioning at its best, you will feel great and be happier! 10. Save Money! – Water is FREE! Even if you choose bottled/filtered water, it’s STILL cheaper than that high sugar soft drink! 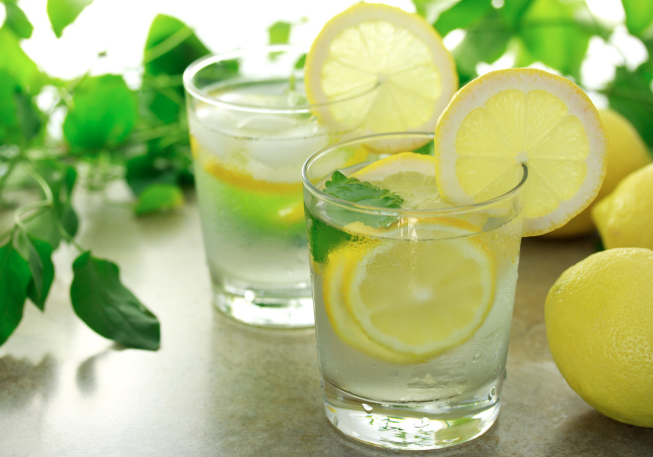 If you don’t like the taste of water – simply add slices of lemon or lime, or even orange slices. You can also add a few sprigs of fresh mint. The important thing is that you get your two litres/ 8 glasses in for the day.